Handsome One More Time is family-owned and operated right here in North Fort Myers, Fl. If you are looking for a real barber shop experience, this is the place for you. Bob and Rob designed their shop around you, their customers, by supplying you with the traditional neighborhood barber shop experience. A place where you bring your son for his first hair cut or just stop in to shoot the breeze. 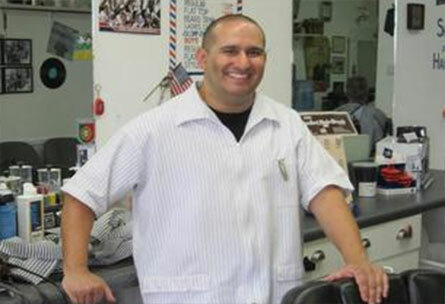 Rob has been cutting hair for a number of years now hold diplomas' from the Sunstate Academy of Hair Design. Today he carries on the tradition of honest work, at a fair rate, building the business. Handsome One More Time is my dad's legacy to me. 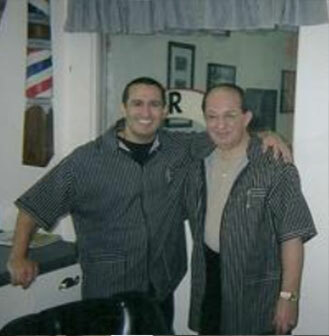 Through his hard work and dedication to our family he founded our shop in 2001. Dad wanted to pass something down for generations. The work ethics he has instilled in me by working side by side with him through the years has me so grateful for knowing this man. He always said, all you have to do is offer a Good Hair Cut at a Fair Price in a Clean Shop and they will come. Today I see my dad's dream come true every time I cut the son's hair of one of our loyal friends. To you Dad, Thank you and I am sure Half of Heaven is Handsome One More Time!